The incision was 2.5 cm. The specimen was removed successfully; patient experienced no complications and was discharged from the hospital without incident. 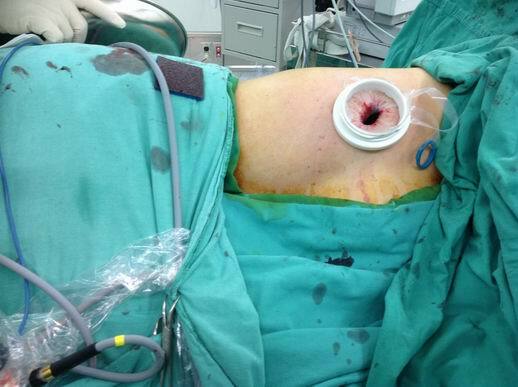 However, when discussing this case with surgeon colleagues a specific question arose. Does size matter? 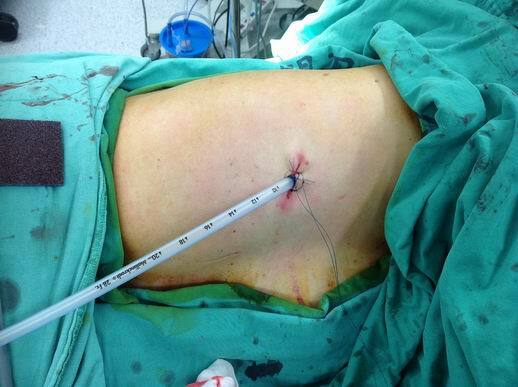 How big is too big to remove through a port incision? BUT, the fact is “the smallest size depends mostly on the solid part of the neoplasm “. The lung is soft in nature. In my experience, a 3.5 cm port is usually enough for any lobe. The only problem is that if the solid part is huge, pull-out of the specimen may be difficult. Therefore, the solid part size is probably the smallest incision size we have to make, usually in the last step when dissection completed , if needed. There is an exception. I have never do this but I think it may be possible. 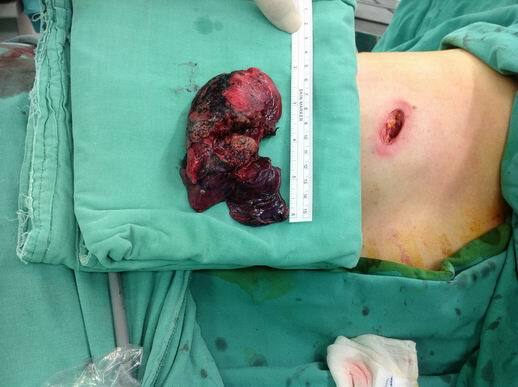 We usually avoid opening the tumor (or cutting tumor tissue into half ) within the pleural space in order to prevent metastasis from spillage of cancerous tissue. What if we can protect the tumor from metastasis while we cut it into smaller pieces? For example, into much smaller portions that will easily pass through the small port incisions? My idea is to use double-layer or even triple layers of endo-bag to contain the specimen. If it is huge, with perfect protection, we cut it into smaller parts within the bag. Then the huge specimen can be removed through a very tiny incision. This is possible. We still have to avoid “fragmentations” since this might interfere or confuse the pathologist for accurate cancer staging. Therefore, in theory, we can cut it into smaller parts but not into fragments. However this idea is worthy of consideration, and I welcome debate from my fellow surgeons and medical colleagues. Thank you to Dr. Chen.